We love our pubs and inns in the Lake District and Cumbria and so do the visitors to the county and national park. It really is no wonder with some of the best examples within the UK and such a choice too. 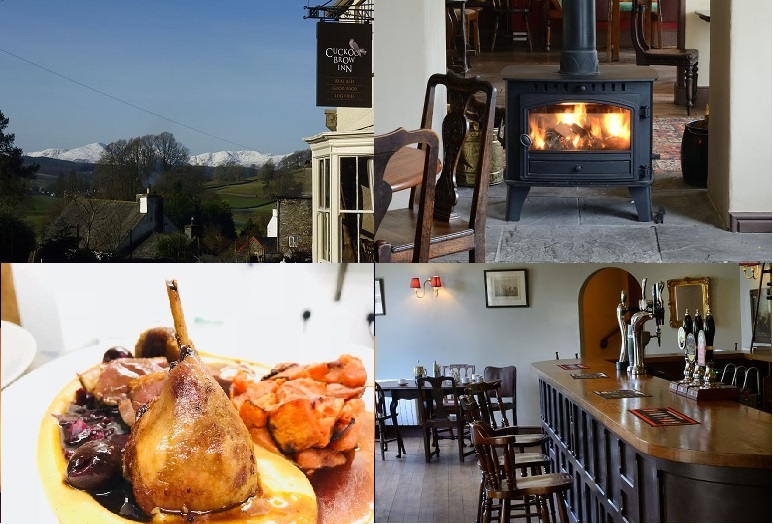 From a good old local like The Golden Rule in Ambleside to gastro heaven at The Punchbowl at Crosthwaite, thousands flock to sample real ale with real food in real atmospheres. But it’s the direct link and association with walking that makes Lake District pubs and inns so special. Be it the thought of a refreshing pint at the end of a summer walk or longing for warmth from a roaring fire and a slow cooked casserole after a winter fell experience, it’s the pub that is the pinnacle of the day. Many walks can start from the pub and of course, these are always circular meaning Cuckoo Brow is there for refreshments at the end, the most important time! Local ales rule the roost and the menu packed full of locally sourced produce including daily specials has gained this inn a foodie following. Walkers are more importantly very welcome at this inn as mentioned in a Guardian Travel article once “You know what you want from a Lake District pub: roaring fires, good beer, hearty food and a blind eye turned to muddy dogs and boots.” The 14 bedrooms round off the package. Rooms start at just £80 B&B based on 2 sharing. Book direct as always for the best rates and for more information on the food and accommodation, visit https://www.cuckoobrow.co.uk. 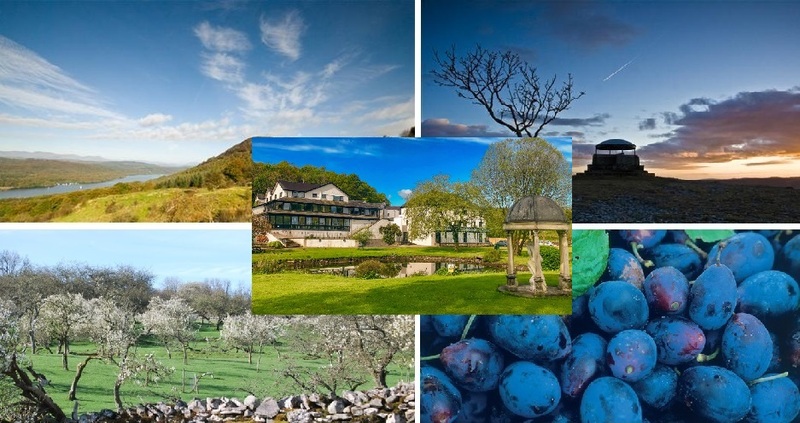 Last Minute Lake District Gift Vouchers! Where has 2017 gone? How is it Christmas already? What do I buy the pickiest of people, the ones who have everything already? Worry, fear and stress not as with the help of a very special Santa that show stopping gift can be bought, delivered, sorted. The Langdale Hotel and Spa is Santa in disguise this year with their offering of gift vouchers for purchase. What makes the Langdale gift vouchers different from a general retail store voucher is they can be purchased for specific products, stays or experiences. Gift vouchers often get a bad name for being a cop out and for those with little imagination. The Langdale vouchers range from one and two night stays to dining experiences, spa breaks and monetary vouchers starting from £25. The monetary vouchers are a great idea for a friend or relative as part payment to a stay or a “Buy a bottle of Champagne on us!” gift. A gift of a Langdale Hotel voucher is surely a super gift for those who have stayed before but the location of the estate, the facilities and the 4 star quality, it’s the safest bet for a gift for even those who have never been before (or the most difficult of recipient!). With Stove Restaurant serving delicious food all day, everyday to the all new Brimstone Spa for luxury and bespoke sap experiences and treatments, the Langdale 4 Star resort has it all. But even the Langdale Santa is ruled by Royal Mail so last posting for first class and Special Deliviery vouchers is Thursday 21st December. 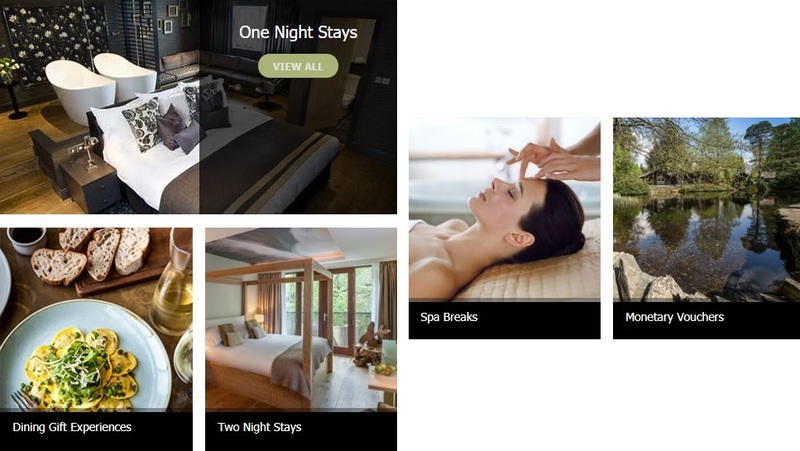 The quick and easy to use designated voucher site can be found here http://langdale.skchase.com/ for the Langdale Lake District Hotel & Spa. To stay in style with luxurious fixtures, fittings and extras isn’t just the domain of hotels now in the tourism accommodation sector in Cumbria. Bed and breakfasts are now stepping up to the luxury mark offering guests 5 star quality accommodation just on a smaller scale to hotels. Yes, bed and breakfasts and guest houses aren’t for everyone with many people being put off by B&B’s of years ago where it felt like staying in someone’s spare room. How things have changed in recent years and although most do not have a bar or a restaurant, this gives guests the chance to explore the area. In Cumbria and especially in strong foodie areas such as Cartmel and Grange over Sands, there is a staggering amount of restaurants, cafes and gastro pubs. It’s the magnificent Westmorland County Show taking place Thursday 14th September. Together with The Cumberland Show they are the 2 main agricultural shows in Cumbria. This show is the 218th and there is a huge amount of events, classes, activities and produce to look around and enter. With the heritage firmly in agriculture, livestock is the main event from dairy and beef cattle, to light and heavy horses, sheep, pigs, goats, alpacas, poultry, terriers and hounds. The second most popular and growing year on year is the Westmorland Food Hall & Food Theatre where there’s food to eat on the day and produce to take home. Then onto the Cumberland & Westmorland wrestling, a firm favourite in the region, crafts and shopping, music and on the back of being at other Cumbrian agricultural shows this year The Sheep Show (like a Miss Word show for sheep!). Highly entertaining and sure to draw a big crowd. Not every person due to attend this large annual event next live close enough to drive or visit for the day. Being such a popular show, it attracts visitors from far and wide and rightly so, Cumbria is farming and agriculture personified. It’s not too late to book accommodation with Kendal being the ideal choice. The Riverside Hotel in the centre of Kendal still has some availability. The hotel has a restaurant bar for post show refuelling and a handy car park for leaving the day during the day. Simply then pick up the special County Show bus from Kendal Bus Station in the morning which is operating a half hourly service with the last bus from the show field being 6.05pm. Riverside Hotel is dog friendly too as the show is always popular with dog owners or those wishing to enter their pooches into the various classes. Visit http://www.riversidekendal.co.uk/ for more details and to book. The first power boat racing events of 2017 will be taking place on Lake Windermere on July 8th. This will be the fourth year in succession powerboating has returned to Lake Windermere since the 10 knot per hour speed limit was introduced in 2005. It is one of the two chances to witness power boats in full stride in 2017, the other date being in September. Organised by Windermere Motor Boat Racing Club, it attracts power boat owners and racers throughout the UK. And with the hopefully stunning weather, Windermere and Bowness will be buzzing with activity both on and off shore. Watch the racing from Windermere Motor Boat Racing Club, Ghyll Head, Bowness on Windermere from 12 noon until 5pm. Windermere Village is getting quite a name for itself for food. In the last couple of years various cafes, restaurants and bars have opened each offering something different to the next but what they all have in common is taste and quality. Look to the Crafty Baa for craft beer fans, Homeground Coffee for breakfast and branch and Windermere Pig for quirky yet traditional British pub fayre. Where to stay? Well Windermere again has a lot to offer whilst getting away from the hustle and bustle of Bowness and the lake. Windermere village just off the A591 road, has a train station with links to the West Coast Mainline and is just a 15 stroll down to the lake and Bowness. Applegarth Villa offers luxury accommodation perfect for post race relaxation. A hotel with rooms and suites with hot tubs, a restaurant and a bar. Visit http://www.lakesapplegarth.co.uk for more information. Call us what you will but when we happened to stumble upon a list on BuzzFeed.com of the “28 Incredibly Beautiful Places In The U.K. To Visit” as compiled by a member of the BuzzFeed Staff, we weren’t shocked to see the Lake District appearing twice in the top 5. At number one is Whiteless Pike near Crummock Water in the North Western Lake District and at number 5, the stunning Lake Windermere. The other locations in the top 28 are made up of exceptionally stunning places such as The Isle of Skye, Scottish Highlands, Monmouthshire in Wales, Cornwall and the Isle of Wight to name but a few. As England’s largest natural lake, Lake Windermere along with its beauty is justifiably in the top 5. 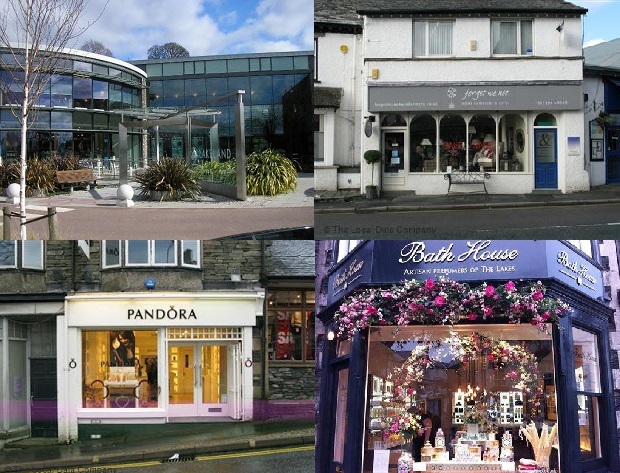 With three varied settlements of Lakeside & Newby Bridge, Bowness and Waterhead from south to north, Lake Windermere is an increasingly popular destination. But its beauty is also down to the miles of beautiful landscape surrounding it making up the whole of the Lake District. Looking at a map of the Lake District and Windermere acts as the welcome host to this National Park. Being the most southern of all the bodies of water making up the Lake District, Windermere is the most visited and offering the most mount of activities for visitors to do both on and offer the Lake. A trip from Lakeside to Waterhead on one of the Windermere Lake Cruises boats is an absolute necessity. If lucky enough to own a boat then sailing on the Lake is surely an even bigger joy. As we approach summer, the lake comes alive with the lake users. 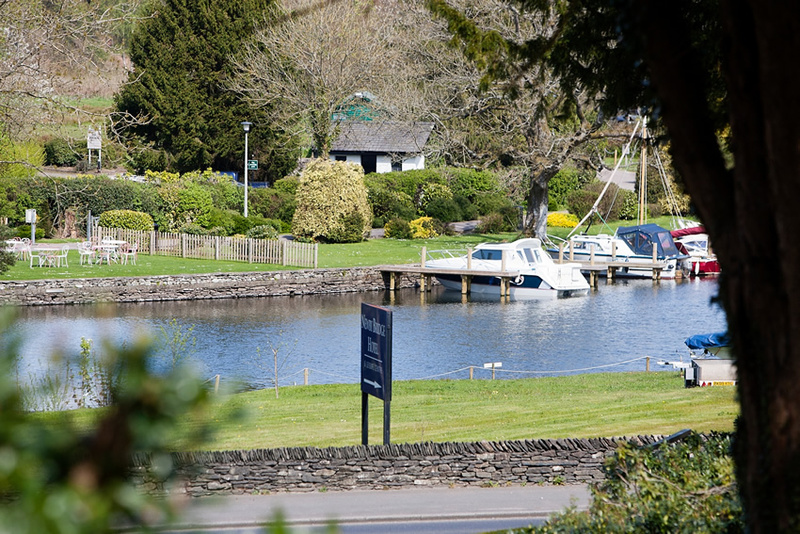 A top tip for accommodation – stay in the quieter area of Newby Bridge and the Newby Bridge Hotel overlooking Lake Windermere. More peaceful than Bowness but still with lake views, easy access to the pier at Lakeside and just 15 minutes from junction 36 of the M6. It doesn’t matter what time of the year or what the weather throws at visitors, Ambleside is the place to be. This all in one destination in the heart of the Lake District is popular with families, couples on romantics breaks as well as walkers, climbers and cyclists (in fact any outdoor enthusiasts) but also lovers of the arts with museums, galleries and Zeffirellis Cinema. For activities then of course walking comes in at number 1 with many route right from the centre of the village, no need for a car. There’s also the short walk to Waterhead Pier to take the ferry to Bowness or down to Lakeside at the southern end of Lake Windermere. There’s also the Armitt Museum, art galleries as well as pitch &putt at White Platts Recreation Ground by St Marys Church. A short break or holiday in the Lake District isn’t complete with some good food and Ambleside has no shortage from proper pub favourites using the local produce available within the region to bistros, cafes and international offerings such as Italian and Thai origin food. Between local and some larger retailers, Ambleside is the must go place for any outdoor or walking kit and supplies. The outdoor are always busy thanks to extensive and well priced stock combined with some of the best advice you’ll find from the staff who have the knowledge of the area, terrain and the gear visitors will need giving invaluable advice and tips. Visitors are often spoilt for choice for somewhere to stay but for high quality yet affordable accommodation, right in the centre of the village and with free parking then The Gables Bed & Breakfast in Ambleside is hard to beat. Family and dog friendly, rates start from and guests receive VIP discounts at their restaurant Sheilas Cottage just a minute walk from the B&B. April 4th 2016 is the date for the opening of the Stove, the exciting new restaurant & bar on the Langdale Estate. Purdey’s and Hobson’s Bar on the estate adjacent to the 4 star hotel have closed and the whole area redeveloped creating a space completely different to any other in the Lake District. The early images released show an interior many have come to expect from the team at Langdale, an extremely strong essence of nature, the extensive use of natural materials, style and elegance with functionality. This for everyone space will be the main dining establishment on the estate along with Wainwright’s Inn, a welcoming relaxing location whether dining post hike, with the family, as a couple, for a celebratory meal or just for a drink. Stove will be open all day with the chefs preparing delicious and healthy breakfast’s right through to high quality evening dining with a chance to experience the chef’s table and the quiet oasis of The Wine Room. The restaurant revolves around the open kitchen as well as the interactive bar with a variety of seating options. The exterior full of tables is set to equally be the place to be to dine and drink whatever the season. For more information visit http://www.langdale.co.uk. Valentine’s Day is fast approaching. Here is our handy guide to spending Valentine’s weekend in one of the most romantic locations in the UK, Windermere. Wordsworth and the many other poets that made up the romantic movement undeniably knew their stuff when it came to telling the world in their prose about the Lake District. That was over 200 years ago and the Lake District, and especially Windermere, is still synonymous with romance now. 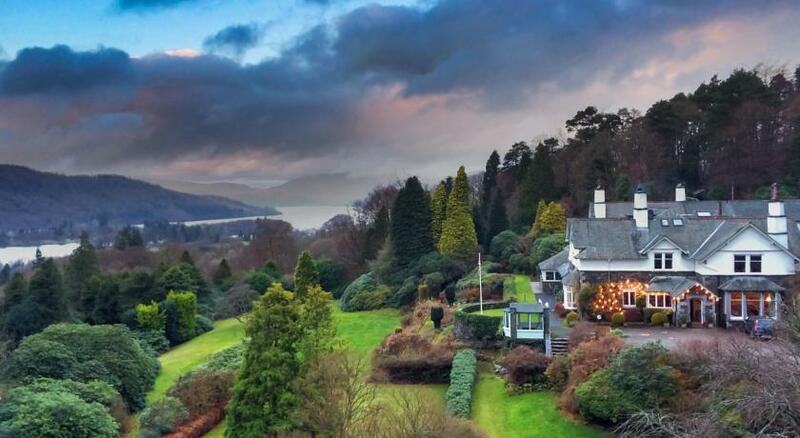 Thousands of couples each year choose the Lake District to propose, for the big day itself, subsequent anniversaries and romantic weekend breaks. Back to Valentine’s, February 14th and it’s a Sunday in 2016. Windermere is gearing up for this very special weekend. Take a cruise down the lake, a leisurely stroll, a romantic fell walk, browse the luxury gift shops, enjoy a romantic afternoon tea or a drink by a real log fire in one of the country pubs. 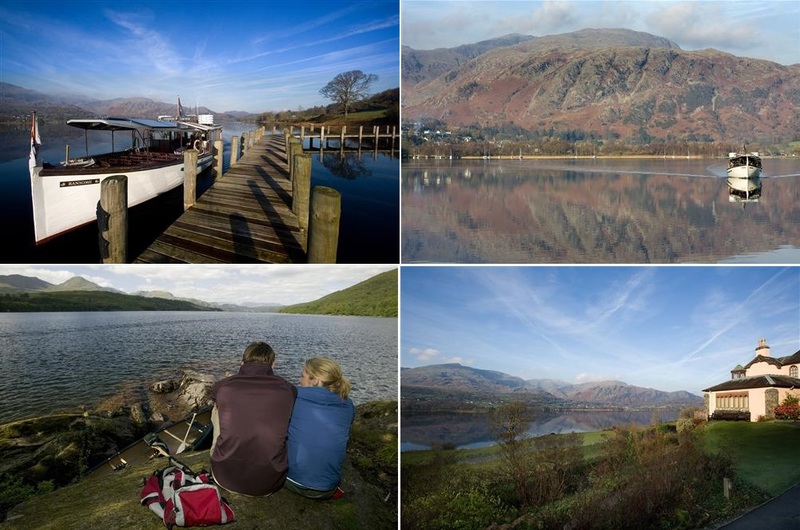 It’s not hard to understand why romantic couples find Windermere wonderful. Its hard to believe there are only 8 more Wednesdays until Christmas Day! We’re sure we’re not the only ones wondering where 2015 has gone but if you haven’t done so already, then it’s about time to start thinking about Christmas. Here’s a suggestion that will probably make sure most if not all of the above are crossed off the list and more, a pre Christmas break in Windermere. Between Windermere and nearby Bowness not only will they supply most of the above but at the same time a chance to spend a couple of days away. Starting in Windermere and there’s Lakeland Limited for any gifts required for home r cooking lovers. Next door and sort out all those special foodie treats for Christmas for the main event or for gifts at Booths supermarket. Pick up some party shoes at Gini Ricci before heading down to Bowness for shops including Love the Lakes for Lake District made and themed goodies, Pandora the jewellery store and The Bath House for luxury bathing, skincare and fragrance products made on the Cumbria/Yorkshire border in Sedbergh. Applegarth Villa Hotel in Windermere is just a 2 minute walk from Lakeland and Booths (and the train station), Bowness is just a 15 minute walk away. Rooms start from £130 but look out for the special midweek hot deals for discounts up to £75 including breakfast on their Luxury Rooms. There’s also a lovely restaurant within the hotel too.